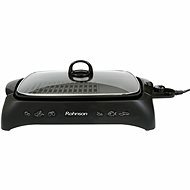 Electric grills are easy to maintain, easy to operate, and can be quickly prepared for use. 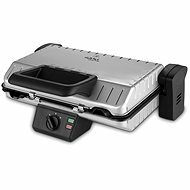 When choosing an electric grill, you should first consider the type and quantity of food you want to cook and where you want to cook it. 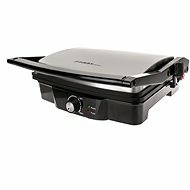 Electric grills are ideal for use at home, in the garden, on balconies or covered patios. They are powered by electricity, which means they don't emit a lot of smoke, so they can even be used inside. 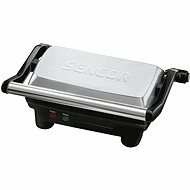 Because they don't require fuel, they are generally more compact in size than other grills. 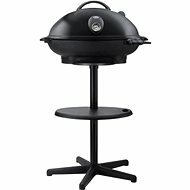 You can choose from various sizes - from small grills designed to stand on the kitchen table to large outdoor barbecues. 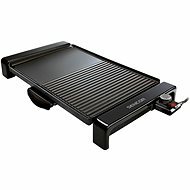 Contact grills - allow you to prepare a wide variety of dishes quickly and easily, from juicy steaks to vegetables and fish. 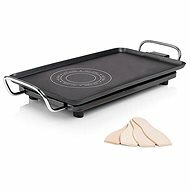 They are also suitable for preparing toasted sanchwiches and paninis. Thanks to their compact size, they don't take up much space and are suitable for home use. 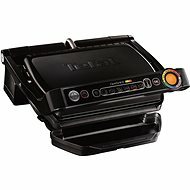 Open grills - feature a larger grilling surface, allowing you to prepare food for several people at once. 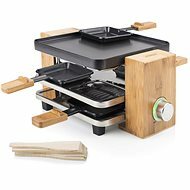 They are suitable for outdoor barbecues, and their due to their size you can prepare several separate types of food at once. 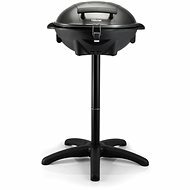 Outdoor grills - feature an extra-large barbecue area and lid, which helps accelerate the grilling process. They come fitted with a practical storage space for tools or ingredients, and they can be disassembled and transported with little effort. 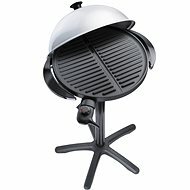 Electric grills are a great solution for balconies, terraces, households and wherever a large grill does not fit. The only limitation is the dependency on electricity. 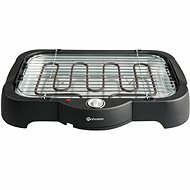 An electric grill can be easily taken to the campsite or to the weekend house, whereby its use is easy. People praise the easy maintenance of the household crust, as some parts can also be cleaned in the dishwasher. 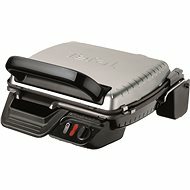 A contact grill is designed for two-sided grilling. 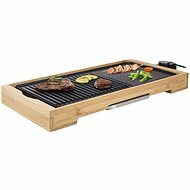 This allows the construction of the grill, thanks to the two grilling surfaces are in direct contact with the food. 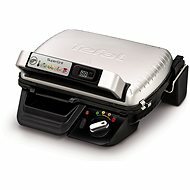 The advantage of the contact grill is the short time of grilling. 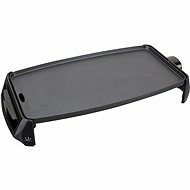 The non-stick coating of the household grill prevents baking. 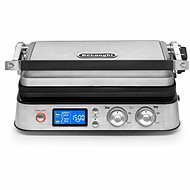 A component of the electric grills is a thermostat for regulating the temperature. 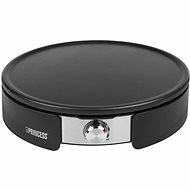 Practical contact grills are offered by Tefal or Catler, for example. 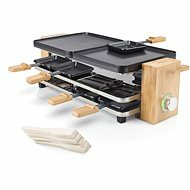 The household grill will prepare your meat, vegetables, fish or meatballs in just a few moments. Do you have appetite for Panini? 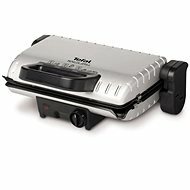 With the Panini grill, you prepare it within a moment and do not have to go to the Italian around the corner. 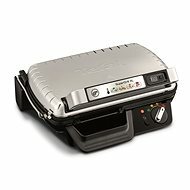 The Panini grill is adapted for the typical ribbing of grills. 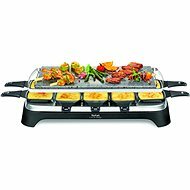 The Raclette grill, on the other hand, is equipped with a few pans, where you can have a different grill in each. He got his name from Raclette cheese, which is gratinated in these pans. 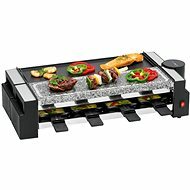 Raclette grills are also suitable for the preparation of other treats besides the preparation of cheese.